Climate change poses a fundamental threat to humanity, and thus solutions for both mitigation and adaptation strategies are becoming increasingly necessary. Biochar can offer a range of environmental services, such as reclamation of degraded land, improvement of soil fertility and carbon sequestration. However, it also raises questions, regarding sustainable feedstock provision, biomass pyrolysis, and soil amendment. These questions, among various others, are addressed in this state-of-the-art compendium. 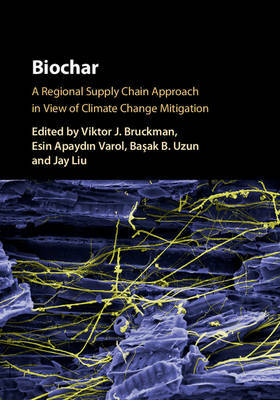 Covering a broad geographical range, with regional assessments from North America, Europe, the Near East, and Southeast Asia, this interdisciplinary volume focuses on the entire biochar supply chain, from the availability and economics of biomass resources, to pyrolysis, and ultimately to the impacts on soil properties. The combination of theory with practical examples makes this a valuable book for researchers, policymakers, and graduate students alike, in fields such as soil science, sustainable development, climate change mitigation, biomass and bioenergy, forestry, and environmental engineering.